The speculations are finally over as brazillian striker Neymar Jnr finally leaves Barcelona for french club, PSG . Neymar, who left Barcelona's training ground this morning after half an hour, closed in on a whopping £222m move to Paris St Germain, today. "The player Neymar Jr, accompanied by his father and agent, has informed FC Barcelona this morning of his decision to leave the club in a meeting held at the club’s offices. "Faced with this position, the club has informed them they refer to the buy-out clause of his existing contract which as of 1 July totals 222 million euros which will have to be deposited in its entirety. "Furthermore, in reply to the claim for the contract extension bonus, the club has once again made it clear that the amount remains deposited with a notary until the case is resolved. "The player remains under contract at FC Barcelona but with temporary permission to not take part in training sessions." 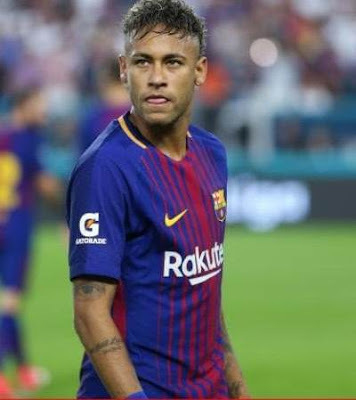 In his three seasons in Catalunya, Neymar has helped Barca win LaLiga twice, the Champions League once, three Copa del Reys and the FIFA Club World Cup. PSG's squad contains four players who have played with Neymar for Brazil, with Dani Alves - also a team-mate at Barcelona - having already joined the club this summer. Enjoy your career Bro, be the best and don't allow anyone or anything to hold back your destiny.